It was a little more than a year ago when I wrote my review of Full Control Stuidos’ digital adaptation of the classic tabletop game, Space Hulk. That game was met with some mixed reviews, even among die-hard fans of Warhammer 40K. 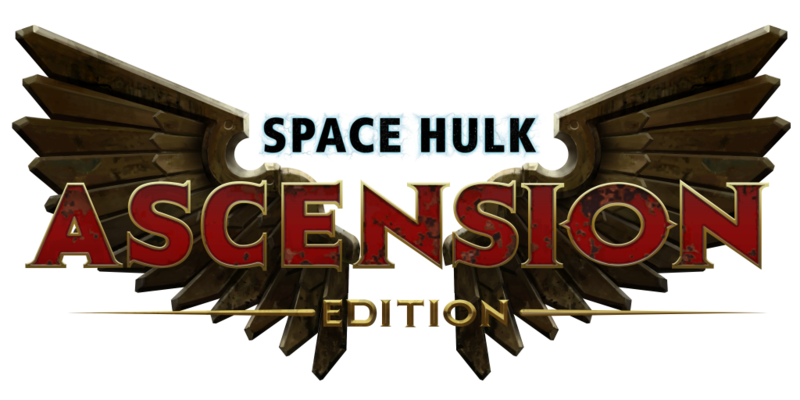 Enter Space Hulk Ascension Edition, Full Control’s current effort to adapt Space Hulk’s tabletop experience into something that can readily take advantage of the digital medium. Before getting too far into things, it’s worth mentioning that a lot of the changes between Space Hulk and Space Hulk AE emerged out of the dialogue Full Control maintained with their audience. Many of the gameplay elements found in the new version of the game address the complaints people had about the original product (e.g. there’s not enough variety to the game, there’s no carry-over from one mission to the next, the game is too short). Space Hulk AE boasts more than 100 missions spanning three campaigns. Taking another step away from the source material, Space Hulk AE adds RPG elements to the core experience of leading a terminator squad through the narrow corridors of an ancient starship. Individual terminators now level up, unlocking new talents, stats, weapons, and abilities. Each campaign operates on a branching mission arc, leaving the player free to choose from harder or easier operations. While it might seem counter-intuitive to take a more challenging path to victory, the extra difficulty usually offers the promise of imperial relics – which in turn offer stat or ability bonuses – and more genestealers to kill (thus more experience for the deployed marines). Gone is Space Hulk’s text window explaining the faux dice rolls of combat resolution. In its place, Space Hulk AE offers a to-hit percentage for every shot. This shift, when mixed with a wholesale alien slaughter, might encourage a person to compare Space Hulk AE to X-Com/XCOM. Truthfully, it’s hard not to go to X-Com when you have elite soldiers fighting aliens. More so, when I’m sweating my last action point on a 62% to-hit shot. But this, boys and girls, is still Space Hulk. For all the improvements that Full Control has made to the game, they haven’t changed its DNA so much that it isn’t about creating zones of control. At its core, Space Hulk – regardless of edition or medium – is a game about exploiting choke points on a map and mowing down wave after wave of aliens as they try to run your gauntlet. Save for the rare missions where the goal is to kill a certain number of genestealers, the aliens will always keep coming. Beating a level isn’t about squad tactics and driving back the alien menace. Rather, a model Space Marine Sergeant will find the exact positions for each member of their team, and then send one brave terminator to grab the objective. It’s an exacting and unforgiving exercise, much like the Codex Astartes itself, in forethought and planning. If a person goes in guns-a-blazing, they’re likely to be treated to the sights and sounds of their terminators getting torn to shreds by xenos scum. In so much as the game is fantastic at building a sense of tension, making me feel that each move could go horribly wrong, it’s not without its flaws in terms of interface and layout. When a misplaced terminator can mean the death of a squad, a lack of an undo option is a huge oversight. Unless a person is saving the game after every movement, there’s no way to rectify a simple human error. While I find the level design to be generally quite good – the dim lights and grime are exactly what I would expect to find on a starship that had been drifting through the warp for thousands of years – there are moments when I have to spend a lot of time zooming in and rotating the camera to figure out if something is a door, vent, or artistic flourish. It’s one thing to feel overwhelmed by having too many angles to cover on a mission; however, the immersion takes a real hit when the best laid plans of the Emperor’s living weapons go to pot because I couldn’t tell that something was a doorway. Had I known, I would have planned for it. This is Space Hulk AE at its most frustrating. Inevitably, terminators die, but watching them die because something was active when I thought it a passive piece of set dressing is very demoralizing. 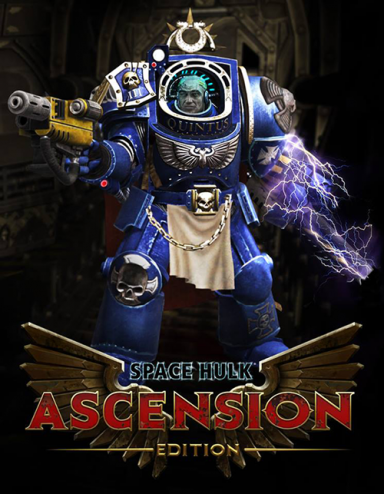 Overall, Full Control Studios took a brave step with Space Hulk Ascension Edition. They risked alienating the fanbase of the tabletop game by taking it in a direction that is somewhat removed from its roots. Overall, I think Space Hulk works much better for Full Control’s innovation. Knowing that a dead terminator won’t be back for the next operation makes each mission drip with consequence. Though the game borders on punishing with its expectation of precise placement, it’s not so brutal as to ruin the overall experience. If players treat each move with the consideration that goes into a sliding a chess piece across the field of battle, they will likely come away with minimal interface problems. That said, for all the effort that went into building the game’s atmosphere, a little more attention to the nuts and bolts would go a long way to making the game better for people who don’t quite treat their Space Marines with the reverence of Kasparov.